Preheat oven to 375. In a large bowl, combine all ingredients until will mixed. Stir in egg. 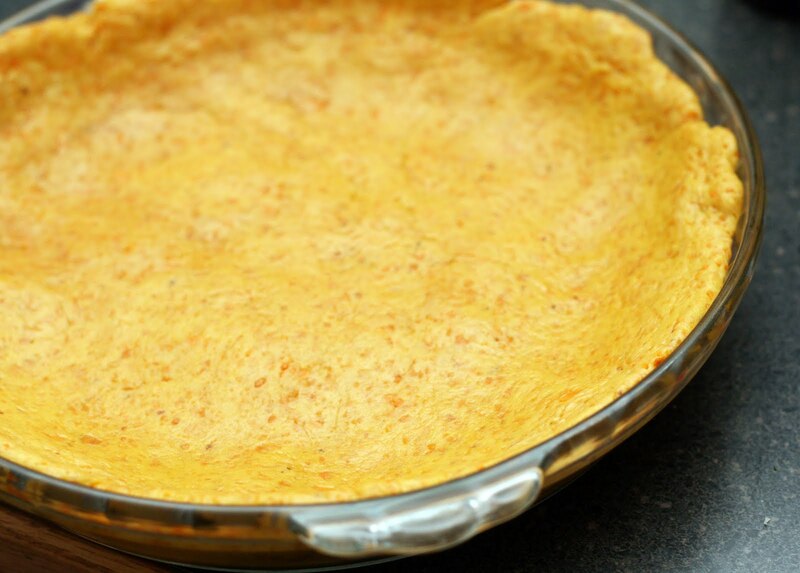 Pour into a prepared pie shell, it is excellent with sweet potato chip pie crust. Smooth surface with the back of a spoon or spatula. Bake 20 minutes. I apologise for the slightly odd picture, I was a bit under the weather when I made this pie and didn't take many shots but it was so good, I really wanted to share it with you all. 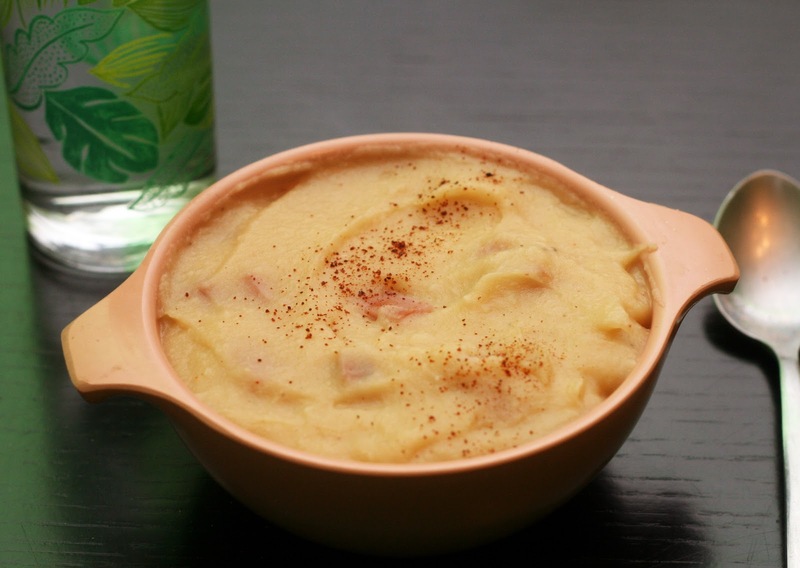 As you might know, I am not a big fan of sweet potatoes for dinner but I am happy to eat them in desserts. I am a bit picky though; I hate when I bite into a sweet potato pie and it is either way too sweet or just tastes like mashed sweet potatoes. Not an issue here. 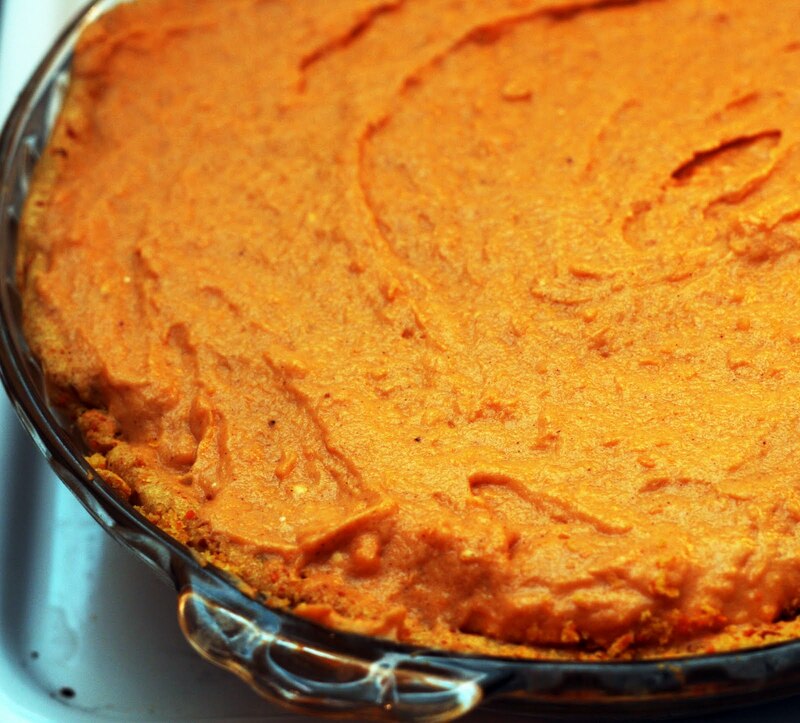 It is creamy but not terribly rich or cheesecake-y and sweet potato-y without being heavy. The perfect midwinter dessert. Preheat oven to 425. Place the pepper, butter, flour and cheese into a food processor. Add water one tablespoon at a time and pulse just until mixture sticks together. Form the dough into a ball. Roll out into a crust and place in a pie plate or quiche pan or tart pan. Prick with a fork. Bake for 10 minutes or until just browned. Turn oven down to 325. Meanwhile, whisk together the milk and eggs. Stir in remaining ingredients. Pour into the prepared shell. Bake 45-50 minutes or until fully cooked. I honestly am not sure the last time, if ever, I made quiche. I had always thought of it as using rather a lot of eggs, but I guess not. 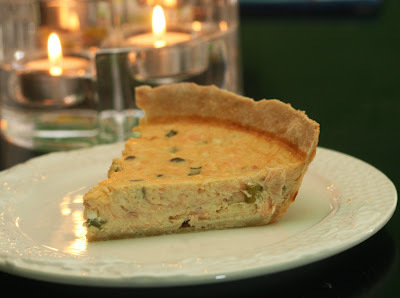 Four eggs makes for a slightly firmer quiche than some but I think it works better with the salmon than a more custardy texture would. Once again, I used evaporated milk for a rich flavor without the fat of the more commonly called for half and half or heavy cream. I really loved the crust I made. It wasn't too spicy but had a great kick from the Old Bay and cheese. It was a really easy dough to roll out too. I echoed the crust in the filling by using the same cheese in it but I kept the flavors simple to accentuate the smoked salmon. Prep jars/lids. Set aside. Place the sugar, juice/zest, kiwi and mango in a pot. Bring to a boil, stirring occasionally. Boil for 15 minutes. Stir in both packets of the pectin. Boil for 1 minute. Ladle into jars leaving 1/4 inch headspace. Process for 10 minutes in a hot water bath. 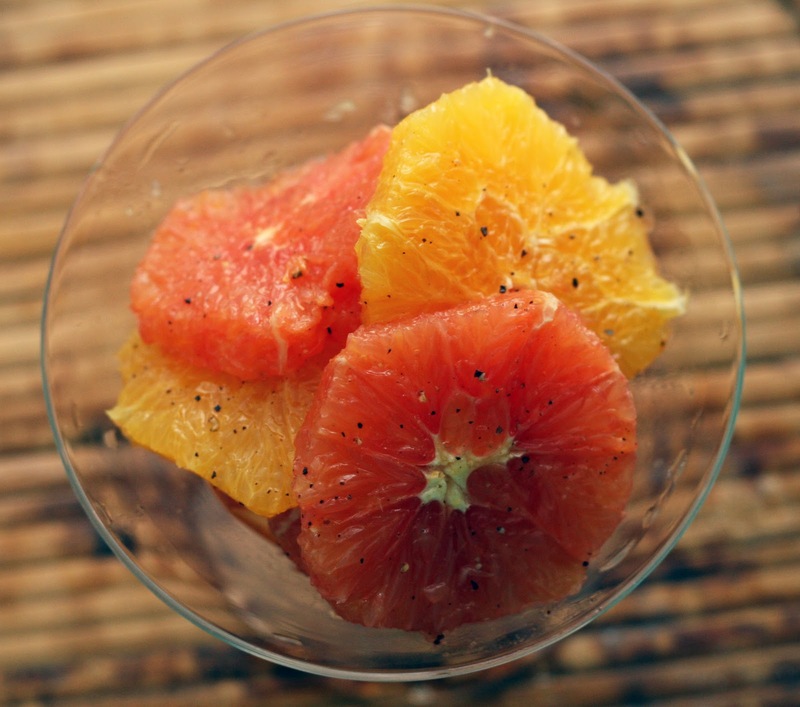 It is that time in the winter when I am really craving something fresh and summery. Luckily I have few qualms about buying non-local produce in the winter because nothing is growing locally. 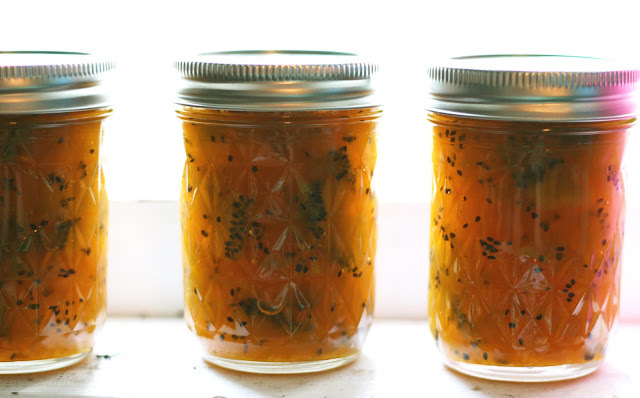 Normally, I'd make jam with fruit I picked myself but hey, buying some truly lush kiwi and mangos was easy and made for a satisfying quick project. A little bit of sunshine in January if you will. Mango is a fairly low acid fruit so I added citrus just to make sure the acidity was at a safe level for boiling water canning. I also think it helped the jam maintain an attractive color, kiwi tends to turn sort of yellowish when cooked. In a large pot or dutch oven, heat the olive oil and butter. Saute the potato until just turning golden. Add the garlic, cauliflower, leeks. Saute a few minutes just until the leeks start to soften. Pour in the broth and spices. Simmer until the liquid has reduced a bit and the potatoes and cauliflower are soft and starting to fall apart. Meanwhile, lightly brown the ham on all sides in a dry, nonstick skillet. Using an immersion blender or work in batches using a regular blender, blend the soup until smooth. Stir in the ham. Heat for couple minutes. *I used one of those boneless ham steaks that are always on sale. Leftover ham would be good too. This is sort of a twist on the classic potato-leek soup. Cauliflower can be somewhat of a polarizing ingredient but in this soup, it is mild and adds body and creaminess. I don't like soups that are entirely smooth so after blending it, I stirred in some ham that I had sauteed (to deepen the flavor) so there was some texture contrast. Of course, if you wanted to leave it out and use water instead of stock, it would make a wonderful vegan soup. At any rate, it is a great way to get your daily dose of vegetables on a cold winter's night. Preheat oven to 350. Grease, spray with baking spray or line 18 wells in a muffin tin. In a large bowl, whisk together the sugars, baking powder and flour. Set aside. In a large bowl, beat the eggs, sour cream, oil, banana and maple syrup until smooth. Add the dry ingredients. Mix to combine. Fold in the nuts. Divide evenly into wells. Bake about 20 minutes or until a toothpick inserted into the center of the center muffin comes out with just a few moist crumbs. Remove from the tin and cool on a wire rack. I have to admit something. I don't particularly like overripe bananas. Or maple syrup. Or nuts in muffins. Luckily, these muffins are not for me! My husband loves all of the above so I made these for him to take to work for breakfasts this week. I made these with canola oil so they'd be extra fluffy and because somehow we seem to have run out of butter (the horror! the horror!). Using oil instead of butter also speeds up the muffin making process because there is no creaming of butter into sugar or having to wait for it to soften. I got up, started measuring and had batter in the pan in about 10 minutes. Perfect for mornings when you are only half awake but want something warm to eat. Even though I personally am not the banana muffins number one fan, my husband assures me these muffins are 100% moist and delicious. If you are unfamiliar with maple sugar and are a maple fan, it is worth checking out. You can use it in the same way you would regular white or brown sugar but it is made with 100% maple syrup. The brand I used is Coombs Family Farms. Preheat oven to 325. In a medium bowl, combine the scallop ingredients. Pour into an oiled baking dish. In a small bowl, whisk together the breadcrumb ingredients. Bake for 30 minutes or until the scallops are just cooked through and the breadcrumbs are toasty. These are dark days, food wise. We are in the dead of winter and there is not much growing out there. The perfect time to make the best use of frozen spinach possible. In this case, I paired them with bay scallops. Tinier and sweeter than regular scallops, they are also really affordable. Which, makes me far more likely to experiment with them than I normally would with seafood. I like to bake bay scallops at a lower temperature than a lot of recipes I've seen. Since they are small and vary in size (and occasionally are broken up) they cook somewhat unevenly. I find that if I cook them at a higher temperature, a few will be perfect but a larger number will be rubbery and overcooked. My husband had these with rice but I had these on their own. 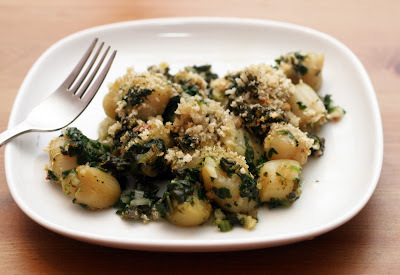 Between the breadcrumbs, scallop, and spinach it isn't a bad, light complete meal. Preheat oven to 400. Place the bread cubes in a single layer on a baking sheet. Drizzle with olive oil. Sprinkle with a few tablespoons of the spices. Toss and sprinkle with spices again as needed. Arrange in a single layer on a baking sheet. Bake for 5-8 minutes then toss again. Bake an additional 2 minutes or until golden. Allow to cool. This can be done the night before you want to eat the salad. Add all of the dressing ingredients to a blender. Pulse until smooth. Toss the lettuce with the dressing. 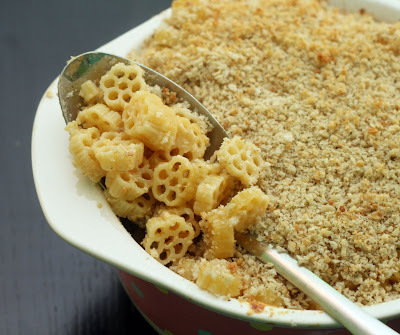 Sprinkle liberally with croutons and Parmesan. I made Caesar Salad recently and it was an unexpected delight. I, of course, have had it out but I had never made it myself before. It had so much flavor from the fresh dressing and homemade croutons. 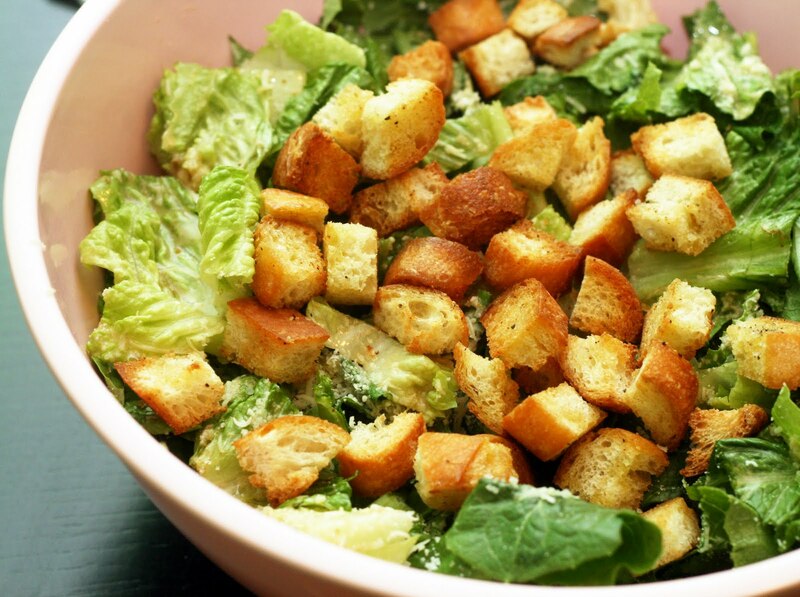 Caesar Salad is a great salad for wintertime because it doesn't require any of the usual salad ingredients (tomato, cucumber, radish etc) which are all out of season. It is pretty easy to find tasty, crisp greenhouse romaine all winter. The "official" recipe for the dressing is a bit vague so I cobbled together what I thought might be the best version. The trick is to use the best olive oil, anchovies (although some argue these were not in the original recipe) and cheese you have. Preheat the oven to 325. In a large bowl whisk together the flour, 1 1/4 cup of the sugar, baking powder, and salt. Add the egg yolks, oil, tangerine juice and zest. Beat until smooth. In a separate bowl, beat the egg whites until foamy. Add the cream of tartar and continue to beat until soft peaks form. Gradually beat in the remaining 1/4 cup sugar and beat until stiff peaks form. Fold the egg whites into the batter using a spatula. Pour the batter into the ungreased tube pan and bake for 1 hour or until a toothpick inserted into the center of the cake comes out clean. Immediately invert the pan onto a bottle cake-side down over a rack or baking sheet. Let the cake cool completely. 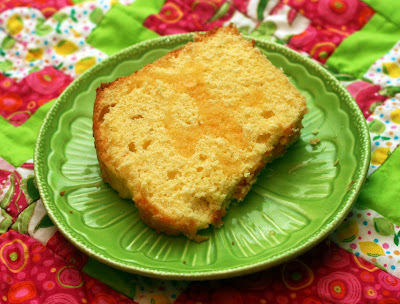 Run a thin knife or spreader along the edges of the pan on all sides to release the cake. If desired, drizzle with a glaze of confectioners sugar whisked together with tangerine juice. *Look for a fine flour like White Lily for best results. I love tangerines this time of year! They really are at their juicy peak. Normally I am a chocolate or vanilla person when it comes to dessert but I can make an exception for this brightly flavored cake. Chiffon cakes are sort of old fashioned and I've found many people are not familiar with them. It is a shame because they have a wonderfully light texture without the "chew" of angel food or being spongy. The secret is in folding in the egg whites (easier than it sounds, I promise) and using oil instead of butter. They are especially well suited to citrus pairings because the juice provides a lot of flavor which helps compensate for the lack of buttery richness. Because of the oil, the cakes stay remarkably fresh for several days unrefrigerated or a few months if frozen. Add the garlic, tomato, celery, stock, tomatoes, beans, tomato paste, and spices to a 4 quart slow cooker. Cook on low heat for 6-8 hours. Add shredded cabbage, green beans and zucchini and turn to high for the last hour. Stir in the pasta before serving. Stovetop: Saute the onions, garlic, carrots and celery until soft. Add the remaining ingredients and heat though. Around this time of year I always get a lot of requests for healthy meals. Soup is always a great choice because it is easy to add lots of vegetables. 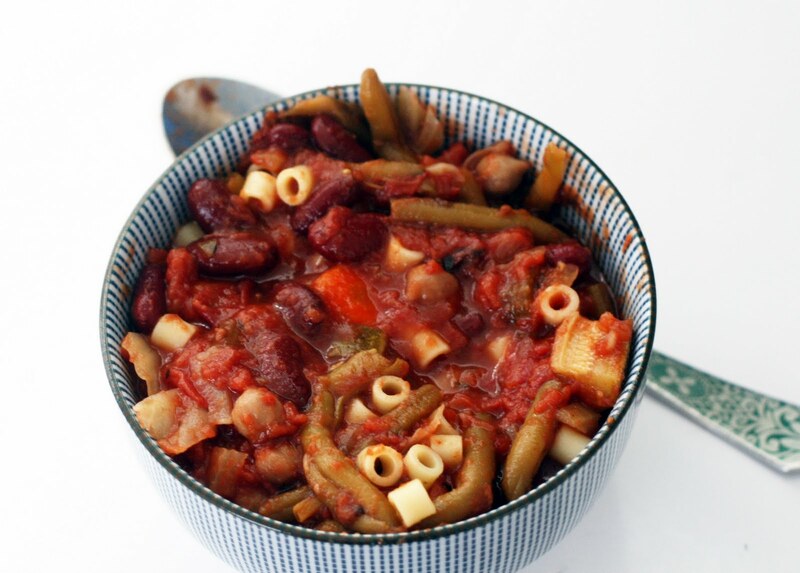 There are a lot of different ways to make minestrone (I even posted a different one here about six years ago) but this one is I think my favorite. I like the combination of chickpeas and kidney beans and the green beans and cabbage (especially when added towards the end in the slow cooker version) really make it taste fresh. While this is a vegan soup, I like to serve with a tiny hunk of sharp, aged cheddar in the bottom of a bowl. 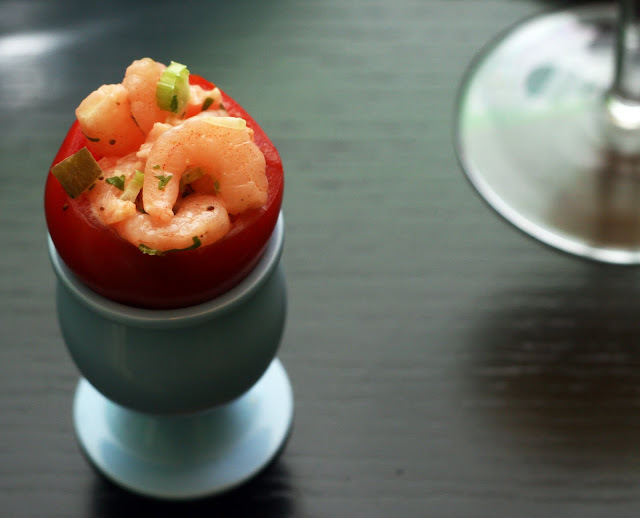 It melts and adds a tasty ribbon of cheese to each bite.